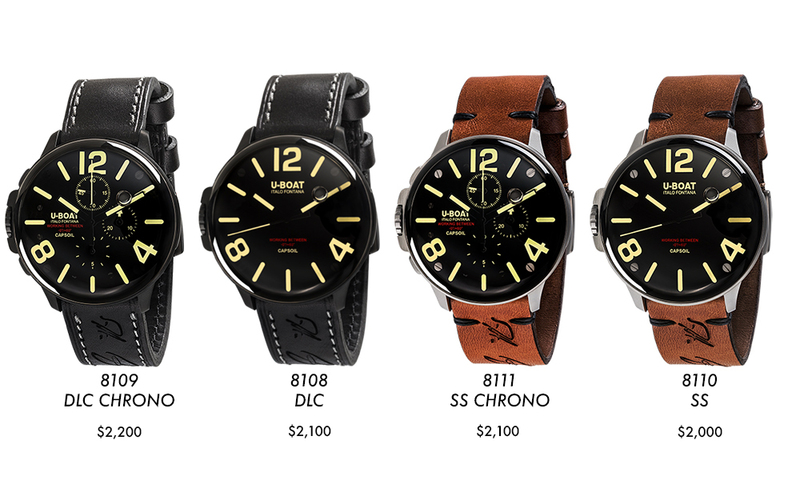 UBOAT introduces their latest watch the Capsoil. The Capsoil goes beyond the boundaries of traditional design, combining innovative features with retro-style lines. The Swiss electromechanical movement is completely immersed in a low viscosity lubricating oil. The oily liquid flows into the dial making it an absolute and deep black and creates an ever-moving compensation bubble that surprisingly amplifies view of the hands that seem to flow free as in the absence of the glass. “From pure reporter of time to motor of the future, this is the heart of the new CAPSOIL model“. Starts with these words Italo Fontana, founder and designer of U-BOAT, the presentation of his latest creation. Available in chronograph and solotempo versions, CAPSOIL, whose electromechanics is completely immersed in an oil bath, revolutionises the concept of U-BOAT creations, while retaining the brand’s strong exclusive personality. “CAPSOIL goes beyond the boundaries of traditional design, combining innovative features with retro-style lines, which prove it as a one of a kind in the world watch market.” Italo continues in the enthusiastic description of this innovative model. 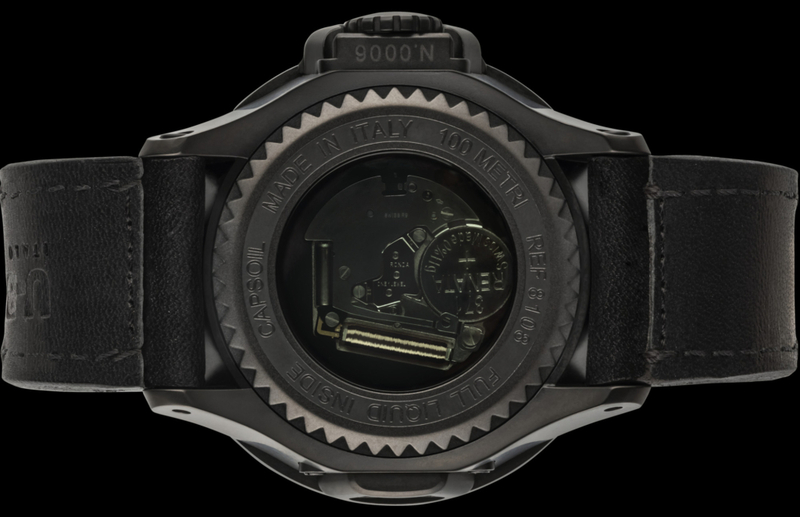 The oily liquid, surrounding the dial, transforms it into an absolute black, making it three-dimensional and deep. 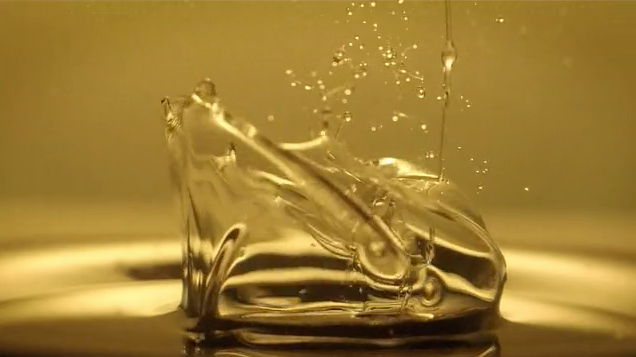 This fluid creates an ever-moving compensation bubble, as well as offering a surprisingly amplified view of the hands, which seem to float free as in absence of the glass. The 45 mm diameter case, in the two steel versions, one with black DLC treatment, blends with the highest quality convex sapphire, from which beige spheres and indexes treated with superluminova emerge. Hermetic resistance at a pressure of 10 ATM is guaranteed by the back case fastened with screw and featuring a smoked mineral glass. The watch is finally equipped with a leather strap with innovative water-repellent lining, handcrafted by expert Florentine artisans.